On average, students with an SLD who received Seeing Stars instruction achieved significant improvements in reading. They made large (significant) standard score changes on all measures. 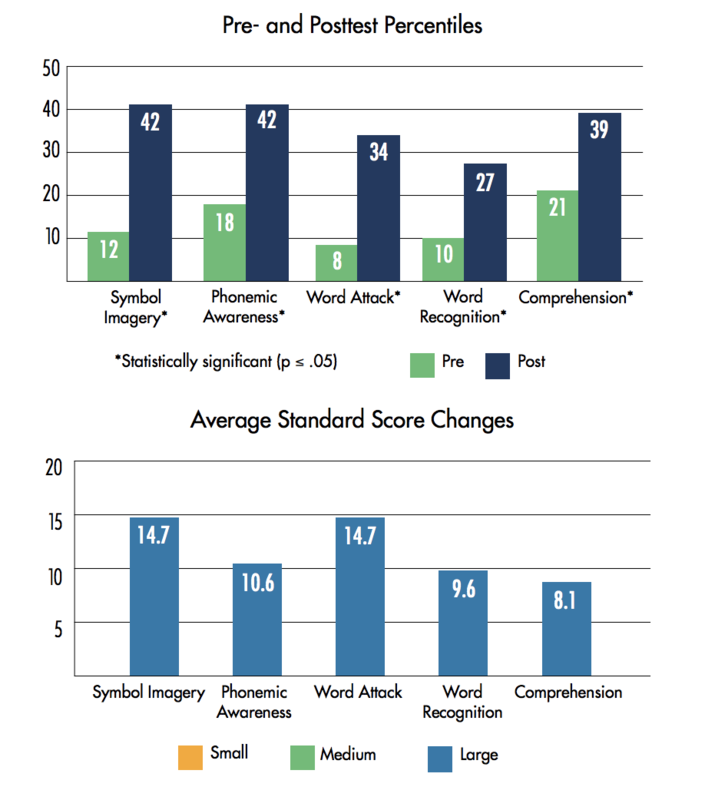 Additionally, the 26-point percentile increase in word attack put these students within the normal range (25th–75th percentile). Their pre- to posttest results were statistically significant on all measures.